Photos: On concrete fences. Co. Cork, SW Ireland. 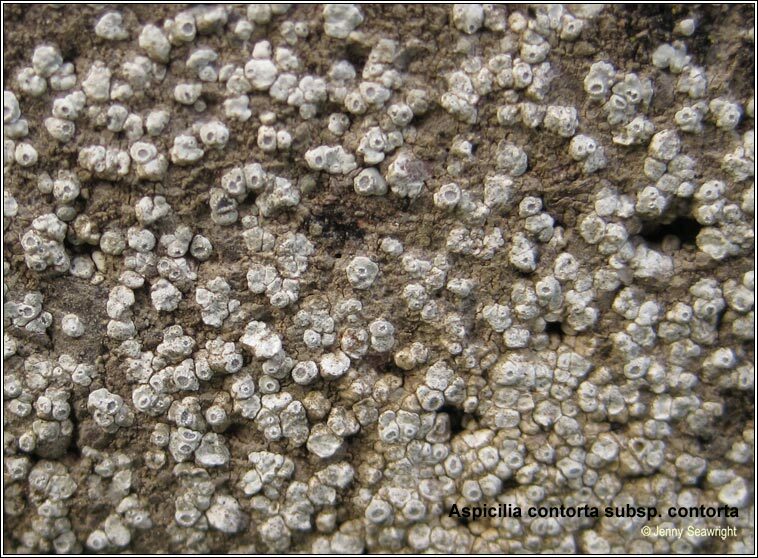 Greenish-grey thallus with separate, convex areoles that later merge and become paler in colour. Prothallus indistinct. 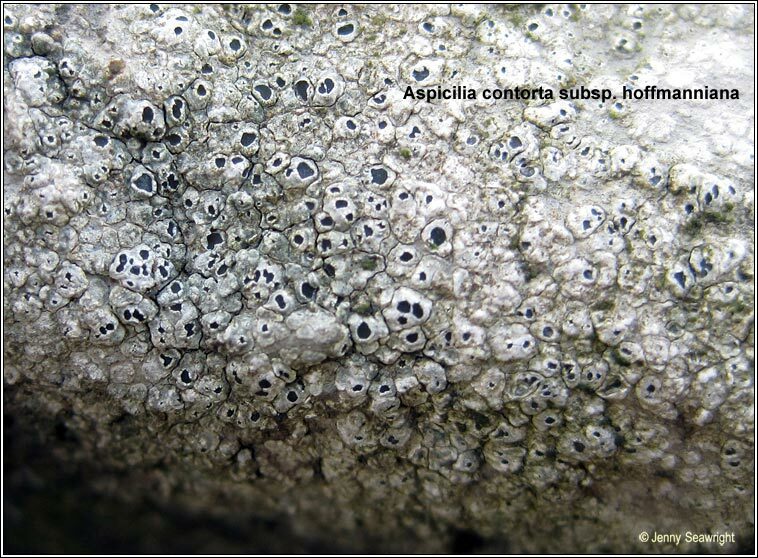 Apothecia are immersed black discs, often covered with bluish-white pruina, usually single in centre of each areole. The asci are 4-spored, spores 20 x 11 µm. Epithecium olive-green, K+ orange-yellow. 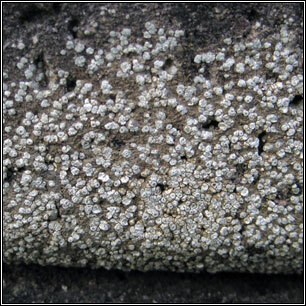 Common on concrete, mortar and hard calcareous rocks, very tolerant of nutrient enrichment. Two sub-species; subsp. 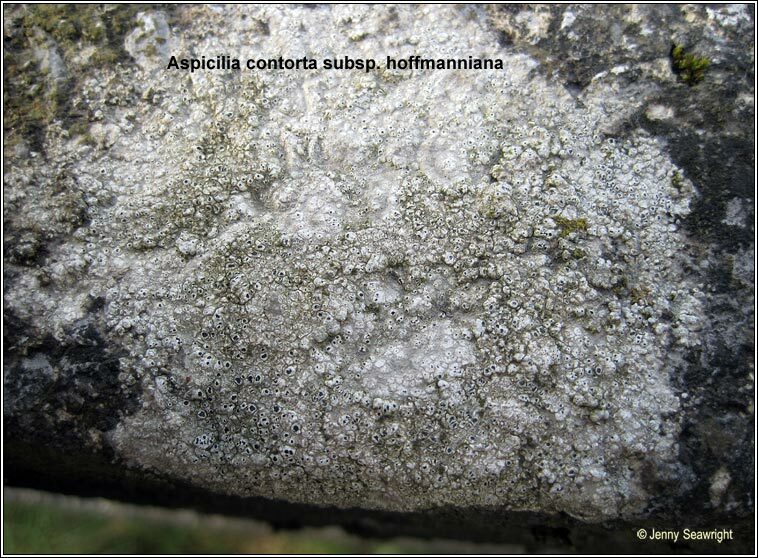 contorta and subsp. hoffmanniana, photographs below.